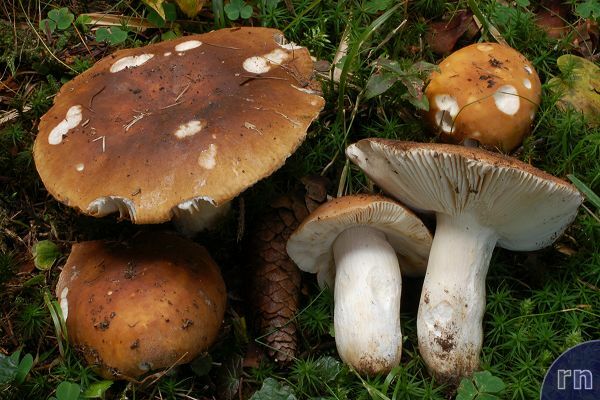 Russula mustelina is a common species in subalpine coniferous forests, where it often grows in large groups. 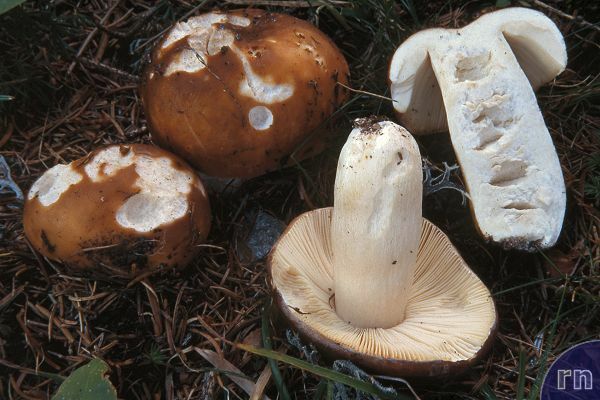 This species is easily recognised thanks to the stocky habit, brown cap and very pale spore print. Last update: 27/12/2010 - 1488786 visits (4032015 pages) since 09/01/2004.